We have had a warm fall so far but it’s finally cooling down with some rain storms. 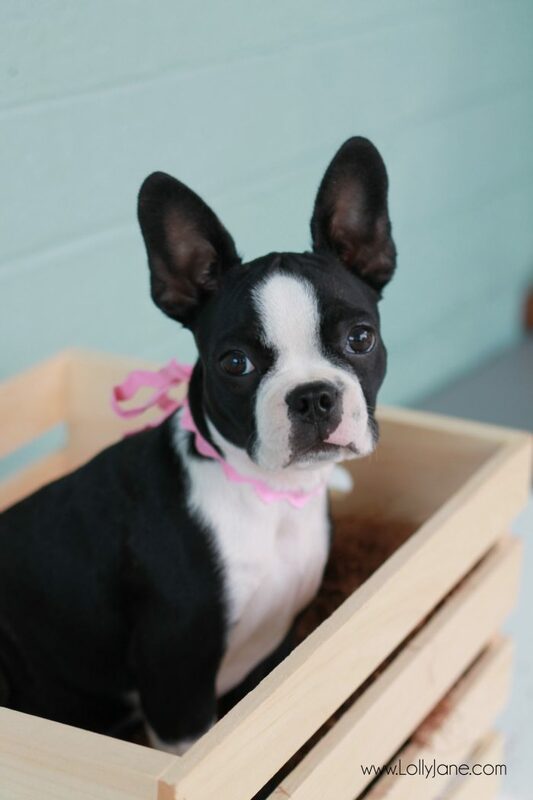 We have a one year old Boston Terrier, Winston and recently brought home a little lady to keep him company. Miss Pepper is 5 months old and is so much calmer than active Winston. But when they both get playful, it usually results in chairs being knocked down and them attempting to jump on the coffee table to the couch to chase their tennis ball. 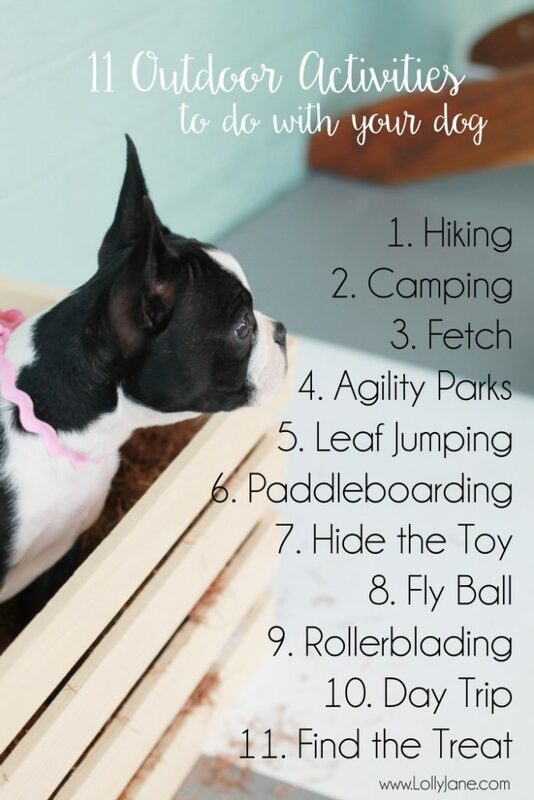 We’ve come up with 11 fun outdoor activities to do with your dog, ways to savor simple memories with man’s best friend. Win win, they get exercise outdoors and my decor isn’t ruined! Hiking. Be sure to bring enough water! Camping. We took them camping last month and they loved it. We brought a long rope so they didn’t get lost. Fetch. We’ve recently discovered a tennis ball never gets old and is hard to break down. They love it! Agility parks. Dog parks are fun but agility parks have “playgrounds” specifically for dogs. Leaf jumping. We have acreage which means lots of trees and lots of leaves. Ours love jumping in them. Paddleboarding. Traction socks to keep their feet warm and dog life vests are a must to bring along. Hide the toy. Bury toys in the sand and have your pooch dig for them. Flyball. 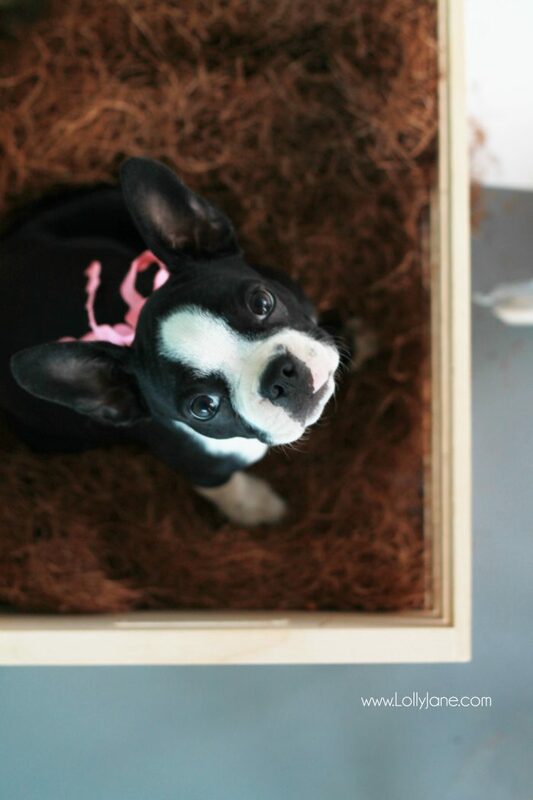 It’s a race where your pup flies over a series of jumps, runs to a box, grabs an object and runs back to the start. Rollerblading. It’ll take some time if they’re new to this but my dog loves to tug so I let him lead. Day trip. We took our dogs to Sedona, they adored the open mountains and streams to play in. Find the Treat. Hide their treat under leaves, behind a bush, etc and let them find it and enjoy it. 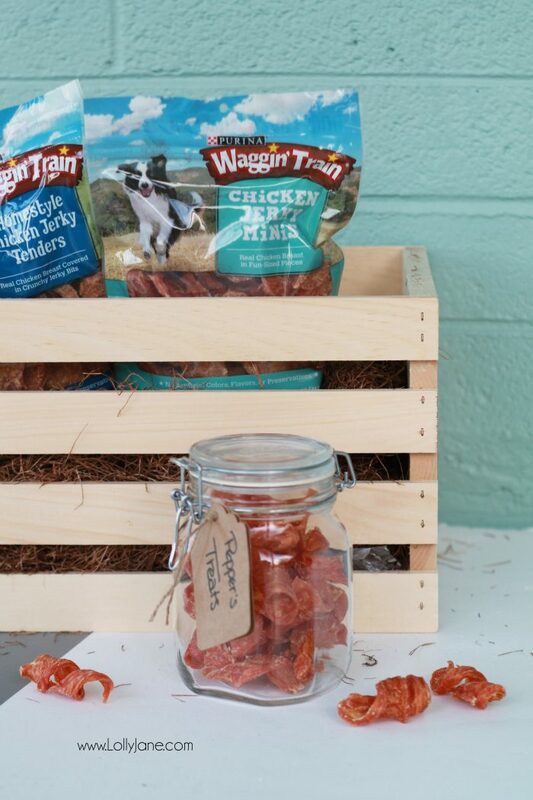 Speaking of treats, Purina Waggin’ Train introduced three new real meat chicken jerky dog treats made with simple, high quality ingredients to respond to consumer demand for more variety in simple, satisfying treats for their furry friends. 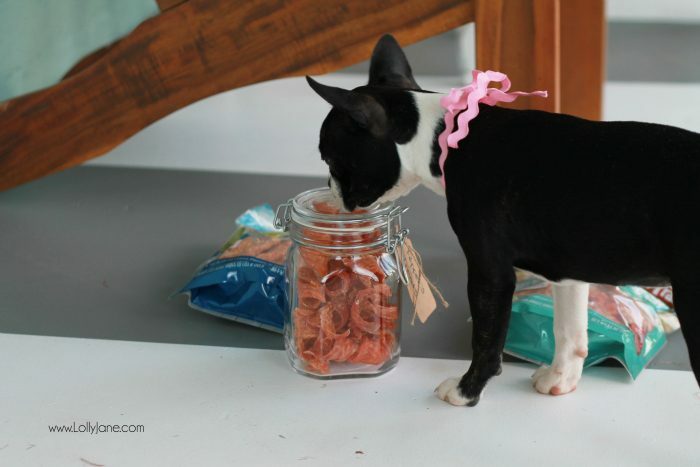 The new product line, which launched nationally in the spring of 2015, features treats that are slow-cooked to seal in natural flavors for a delicious dog snack. The varieties include: Waggin’ Train Chicken Jerky Minis – Made using real white meat chicken, with just two simple ingredients and sliced into fun-sized pieces. No artificial colors, flavors or preservatives are added. Waggin’ Train Homestyle Chicken Jerky Tenders – Made with real chicken that is slow cooked and then covered in little jerky bits of chicken to make it both crunchy and chewy. Made with just two simple ingredients, this product has no artificial colors, flavors or preservatives. 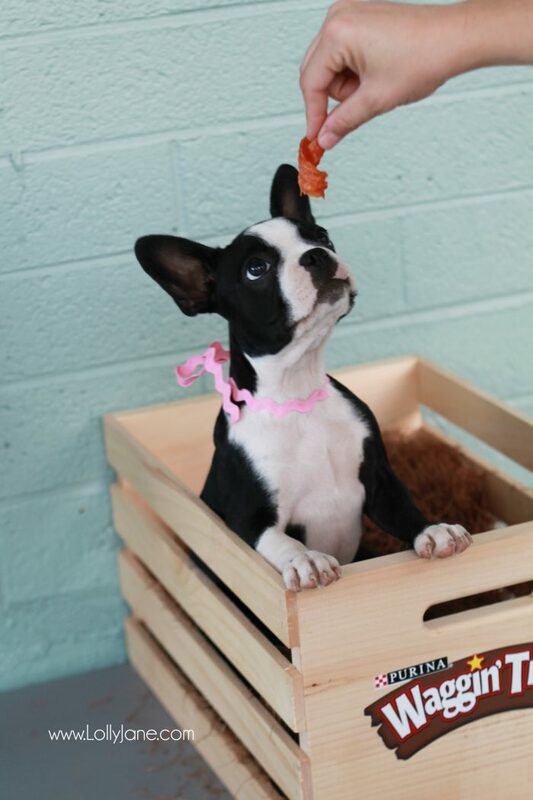 Waggin’ Train Chicken Jerky Curls –These 100% real treats are made with just two simple ingredients and are twisted into fun shapes that you can toss and flip ‘til your dog’s heart is content. The product has no artificial flavors or preservatives. Purina’s quality control and safety protocols are the “gold standard” for the industry, meeting or exceeding all U.S. requirements. Waggin’ Train has worked hard to strengthen our already strict quality controls throughout the production process, from egg to finished treat. All Waggin’ Train treats are backed by Purina — the name pet owners have trusted for quality pet care products for more than 85 years. In fact, if you want to try one of these 3varieties for your own fur baby, Waggin’ Train is giving awayone of each of the three varieties! >>Leave a comment telling us your dogs name to enter! Thanks Waggin’ Train for sponsoring this post. All thoughts and opinions are ours. Visit www.WagginTrainBrand.com to learn more. 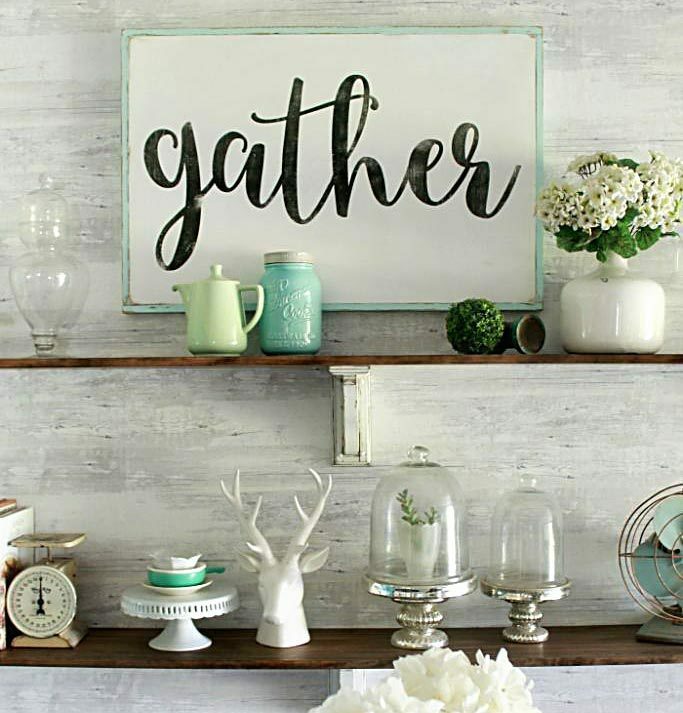 Thanks for supporting companies that keep LJ rockin’ and rollin’ with free tutorials and ideas. We just got an eight week old Lab – her name is Maddie. Thanks for the chance! My dog’s name is Rosie. We’ve got Gus the cockapoo! My boxer’s name is Roxanne. Two dogs – Foxy & Lucy and they love, love, love their treats. I have two dogs. One is a small beagle named Coco who is 8 years old. One is a Sheba and his name is Bacon. He is 2 years old. My boys name is Sitka. He’s a 9 month old American Eskimo mix that I just adopted from the shelter. He would love these purina treats!